Writer Thomas M. Disch died from his own hand last week in New York. Proudly obstreperous and uncouth towards his many (and unfortunately often he felt insipid) genre fans and critics of the SF and fantasy variety, Disch was misunderstood in his time. 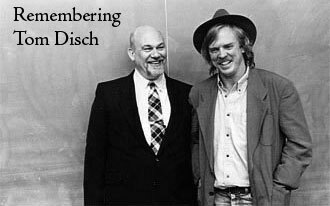 We’ll see how the bulk of history remembers him, while here friend and fellow novelist Scott Bradfield remembers Disch with admiration, sadness, and love. 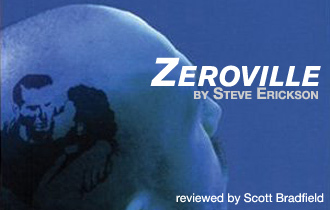 Steve Erickson, in his latest novel Zeroville, invents a character who chooses to live his life as if he were a cinematic character. And who wouldn’t? In the movies, one can jump cut, laws of cause and effect are easily manipulated, and responsibility becomes malleable or mute. The problem for Erickson’s hero however, Scott Bradfield explains, is that he’s unknowingly driven by the causal concerns of his deft creator, Erickson the novelist. And all that drives Erickson, drives his characters…well, read and see. 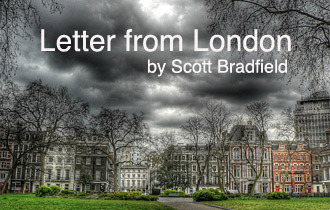 Like Henry James, another American novelist who never felt at home in the New World, Scott Bradfield decided to move to London. After three decades there, he can tell you exactly what he loves and doesn’t love about his adopted city. We’re honored to welcome one of our greatest living writers to Fanzine—a national treasure even if he doesn’t want us.